Deputy Opposition Leader and Shadow Minister for Heritage Penny Sharpe. 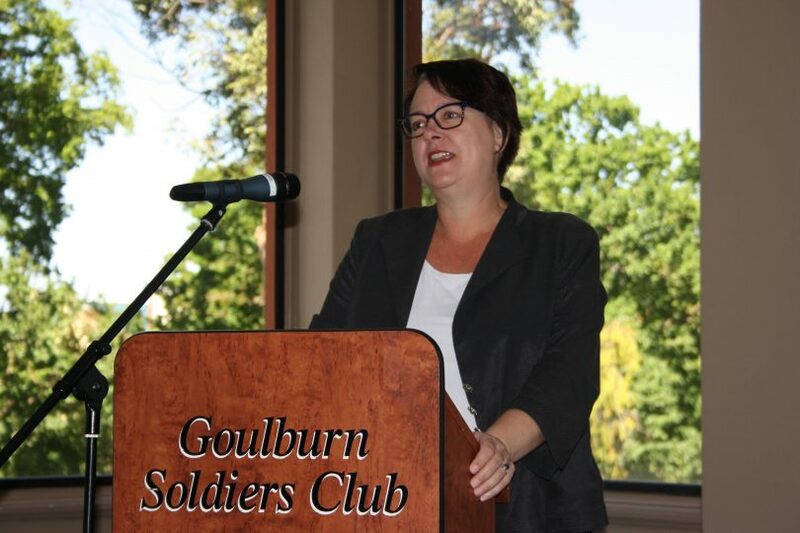 The Shadow Minister was in Goulburn for a heritage forum last week. Photos: Maryann Weston. 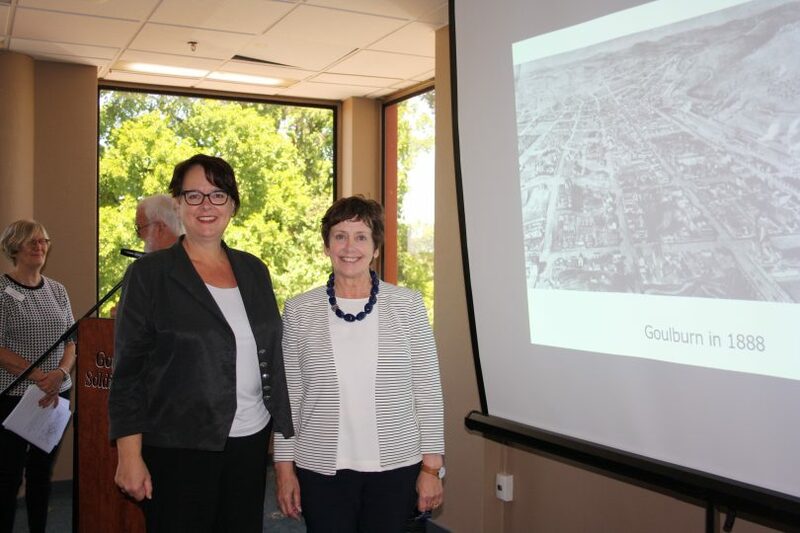 Heritage and the need to preserve it was the resounding consensus at a forum held in Goulburn last Tuesday (4 December), with attendees calling for better protection of Australia’s First Inland City’s historical assets and a stronger focus on heritage tourism. The forum was attended by most of the Goulburn region’s heritage groups, and organised by NSW ALP Candidate for Goulburn Dr Ursula Stephens. The keynote speaker was Deputy Opposition Leader and Shadow Minister for Heritage Penny Sharpe who spoke about the ALP’s plans to overhaul State heritage laws and establish a standalone Office of Heritage, should her party win the NSW election in March 2019. In opening the forum, Dr Stephens referred to the recent controversy surrounding an apartment complex development on the historic former Our Lady of Mercy Convent in Goulburn which was in breach of building consent, as an example of what can happen when heritage is not adequately protected. “We have in Goulburn the most beautiful heritage listed properties. The convent is an EC Manfred building and we now have an encroachment on that building. This is an example of how vigilant we have to be when proposals are put up as adaptive reuse,” she said. The Shadow Minister outlined how the ALP, if elected to NSW Government, would review the heritage Act and ‘bring it back to the centre of community’. “What’s happened in the 41 years since the Act was established is that there has been a chipping away to find loopholes in our laws and that has made it harder to preserve our heritage. We also need to look beyond buildings to the environment; where we live and our stories,” Shadow Minister Sharpe said. If elected, as well as reviewing the heritage Act, an ALP Government would work with communities to develop NSW’s first Heritage Strategy. Heritage would also be moved from NSW’s Planning and Environment Department to Premier and Cabinet, as the Office of Heritage. A summit would be held to inform the heritage strategy, and a review of how the State’s Planning laws interacted with the heritage Act would be undertaken. Funding to support heritage would also be considered. “Heritage is fundamental to who we are and its tourism potential is underestimated,” the Shadow Minister said. “Goulburn is in an ideal position. It’s well worth the stop to come and see this town. You are on a major highway and your heritage is important but at the moment it is ignored and seen as a burden,” Shadow Minister Sharpe said. The forum heard about the work of the Goulburn region’s volunteer heritage groups. Presentations were given by the Goulburn Heritage Group, History Goulburn, the Goulburn Railway Heritage Society and the Mulwaree High School Remembrance Museum. Jennifer Lamb from History Goulburn talks about the connection between iconic writer Miles Franklin whose classic My Brilliant Career was set in the Goulburn district. The Goulburn Heritage Group made the points that heritage encompassed the inside of the buildings as well, the importance of keeping ‘collections’ of buildings intact and that new ‘uses’ for historical buildings had to be found. “You can’t just have heritage lists; you need new uses for these buildings,” architect, author, town planner and Goulburn Heritage Group member David Penalver said. The groups also spoke of the need to tell the stories of people who have lived in the district – people like Miles Franklin, William Bradley, Mary Gilmore and artist Ethel Higgins, and through these stories, promote Goulburn. 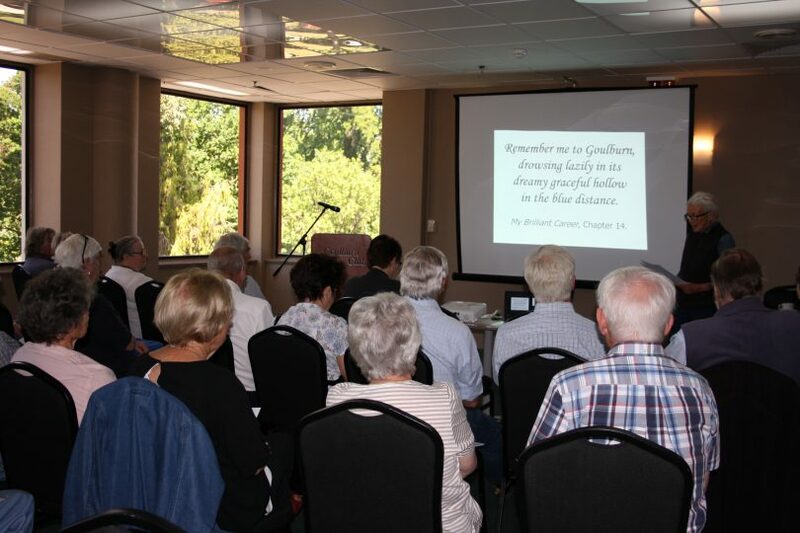 The forum also heard about plans for the 150th anniversary of trains coming to Goulburn in May next year, about the City’s unique collection of renowned architect EC Manfred’s original drawings of Goulburn’s heritage buildings, and of its pioneer cemeteries which included the graves of explorer William Hovell and pastoral pioneers, the Durack family. After the forum, there was a walking tour of the heritage sites in town, and a tour of the old Goulburn Brewery, Bradley Grange. Shadow Minister Sharpe acknowledged the value Goulburn and district residents placed on their heritage and its preservation. ALP Candidate for Goulburn Dr Ursula Stephens organised the heritage forum. She is pictured here with Deputy Opposition Leader and Shadow Minister for Heritage Penny Sharpe. “I will be working with Labor’s Shadow Minister for Heritage to find a way to protect and preserve Bradley Grange, as well as working on ways to make heritage tourism a key feature of our local Goulburn economy,” Dr Stephens said. To find out more about what the heritage Australia’s First Inland City has to offer, heritage trails and self-guided tours, visit the Goulburn Visitors Information Centre for more information.